Authorities have safely removed what they said was a “live explosive device” mailed to CNN’s New York office on Wednesday that forced the network to evacuate its employees. New York Police Department Commissioner James O’Neill said an envelope containing white powder was found with the device. The Secret Service said on Wednesday that explosive devices were also sent to the home of former President Bill Clinton and former Secretary of State Hillary Clinton, and to the home of former President Barack Obama. A bomb squad safely removed what authorities called a “live explosive device” mailed to CNN’s office in New York on Wednesday that prompted the network to evacuate its employees. New York Police Department Commissioner James O’Neill told reporters at a news conference that the department’s bomb squad secured the device and removed it for investigation, and that an envelope containing white powder was found alongside it. The CNN reporters Jim Sciutto and Jake Tapper tweeted that the package was addressed to former CIA Director John Brennan, who frequently appears on the network and has been critical of President Donald Trump. The network tweeted a picture of the device. New York City Mayor Bill de Blasio condemned the incident as “an effort to terrorize” and praised CNN employees for their professionalism in handling the situation. De Blasio added that there were no other credible, specific threats to New Yorkers and that residents should go about their daily routines. CNN had been broadcasting live Wednesday morning when a fire alarm went off in the Time Warner Center in midtown Manhattan. Footage showed Sciutto and Poppy Harlow explaining that the alarm had gone off, while employees could be seen leaving the studio. The network cut to commercial. CNN reporters tweeted photos showing a heavy police response at the scene, and people in the area received emergency alerts on their smartphones telling them to shelter in place. 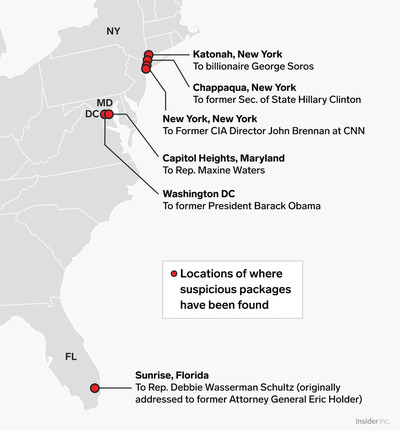 The incident came amid reports that the Secret Service had intercepted explosive devices mailed to the residences of Bill and Hillary Clinton in Chappaqua, New York, and former President Barack Obama in Washington, DC. “The Secret Service has initiated a full scope criminal investigation that will leverage all available federal, state, and local resources to determine the source of the packages and identify those responsible,” the Secret Service said in a statement. 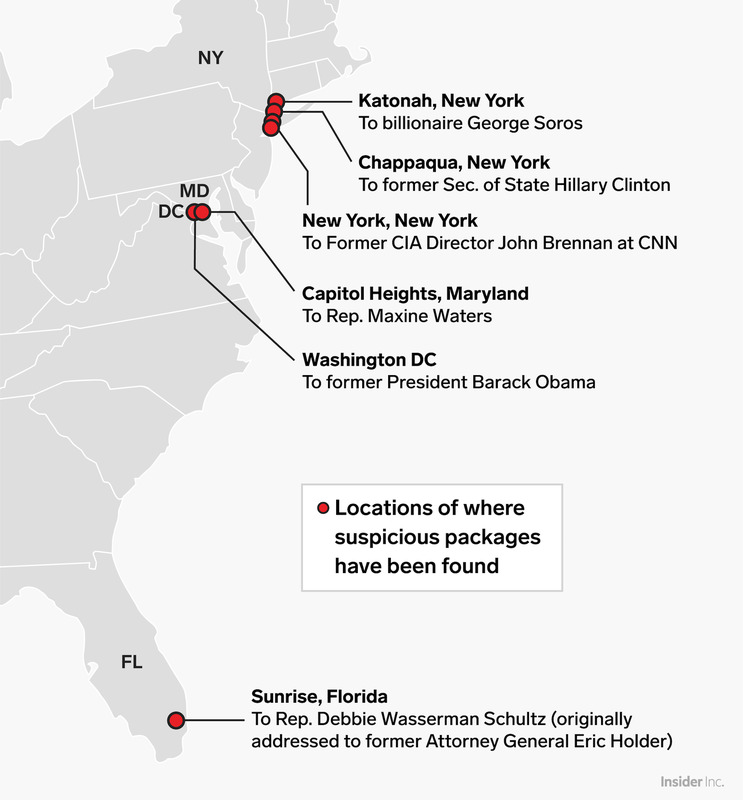 Several more were found across the country, including at the offices of Democratic Rep. Debbie Wasserman Schultz, the former chair of the Democratic National Committee, and California Rep. Maxine Waters. On Monday, an explosive device was found at the home of the billionaire Democratic donor George Soros in Bedford, New York. President Donald Trump on Wednesday condemned the incidents, vowing a full investigation and urging unity. But Zucker appeared to find the remarks insufficient – he said in a statement Wednesday afternoon that Trump and the rest of his administration needed to better understand the consequences of their frequent attacks on CNN and other media.